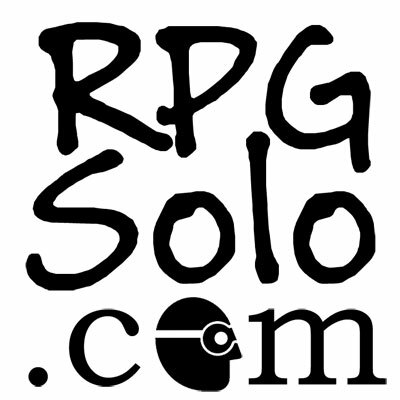 RPG Solo assists you, the by-yourself-person, in solo roleplaying (also known as Solitaire RPG) by being your Virtual Game Master. With this tool one or more people can play any genre of roleplaying game without a GM, DM, or anyone being left out of the fun. If you are looking for a single player RPG tool then you have come to the right place. If you're ready to dive in then just click Play! Otherwise, read on. If you enjoy this site, please consider a donation. I am just one simple man trying to make a fun site in the universe. Also, donations will keep ads off the Play screen. How do I role-play solo? There are two ways to start your solitaire RPG: 1. you already have your genre, theme, setting, and goal in mind or 2. you want these things provided for you. If you already have these things then you are ready to play by asking questions and clicking the buttons in the "Get Answer" section. If you want these things provided for you then there are two groups of buttons you can use to help generate your world and your goal. One button set is based on the "Instant Game" system and the other on the "Mythic" system. You can use one or both systems to help prompt your imagination to create a unique and exciting experience. Once you have your world and purpose, whether you made them up yourself or had them generated, you will mostly do three things: ask a question, determine the odds, and then click the appropriate button. There are two types of questions you can ask the RPG Solo Engine, simple yes/no questions or complex questions. Yes, and... The "and" indicates some kind of bonus. Yes. The answer is just yes. Yes, but... The "but" indicates some kind of penalty. No, but... The "but" indicates that it's not a total loss. No. The answer is just no. No, and... The "and" indicates it is even worse. I hear one person in the room. (Now I ask my next question.) Is the door locked? The door seems weak enough that I can probably kick it open. So that is the general idea on how to play. I will be adding some more examples. Just a quick note on the interface. There are three sections. The large section on top is the log window. It is where you will see your answers and your story unfold. The section below that is your text box where you can type your story and questions if you want. What you type will be added to the log whenever you click a button. And the bottom section contains all your buttons for getting your virtual game master to tell you stuff. This site is still being updated and I will be adding more information later. However, at this point you can begin your solo role-playing game adventure. Moved change log to forum: Change log. - FU: the Free, Universal Roleplaying Game: by Nathan Russell - for the Yes/No/But/And concept. 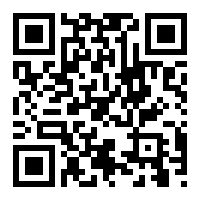 - The Mythic Game Master Emulator: by Word Mill Games - for the event tables. - Solo Dungeoneer: for his 10d odds system (which I tweaked) from his blog post named, "Mythic Fate Chart Variant". - Tiny Solitary Soldiers: for his "Twist Die" idea from his blog post named "Solo RPG?!" - Game-icons.net: for some of the icons by lorc, john colburn, and delapouite. - Conjecture Games: for UNE - The Universal NPC Emulator. - John Fiore: for the somewhat complicated 9Qs - "A fast-play, no-frills solo rpg engine" which inspired the simplified Mark's Adventure Questions. - Rory's Story Cubes: by The Creativity Hub - Inspiration for Mark's Adventure Glyphs. This may or may not be copyrighted©, trademarked™, or something§.